Contestant Park Jung Eun who impressed the judges with her powerful dance and rap talent on the recently-concluded first season of SBS ‘K-Pop Star‘ is looking to sign a contract with T.O.P Media, the agency run by Shinhwa‘s Andy Lee. According to a broadcast insider, Park Jung Eun recently held a meeting with T.O.P Media (home to TEEN TOP), and there’s a high probability that she will be signing with the company. Back in February, Park Jung Eun performed 2NE1‘s “Please Don’t Go” on ‘K-Pop Star’, showcasing her powerful rap and skilled dance moves. Unfortunately, she was unable to move on to the live audition rounds after being told that her vocals were unstable. As previously reported, 2NE1 and Teddy Park have partnered with Intel Korea for the “Make Thumb Noise” project! 2NE1 and Teddy Park will collaborate with Intel to create an “Ultrabook Song“. Teddy Park will be producing the song while the girls of 2NE1 will be lending their vocals for it. During Round 1 fans were asked to choose their favorite instrumental. Round 2 had fans pick the best song title and Round 3 gave fans the the chance to choose the song’s arrangement style . Now, in the final round, fans will pick which version of the song’s bridge they prefer. Check out the 2 clips for ‘Make Thumb Noise Round 4′ and the Making Film released today! Then go to Intel’s Facebook Page to vote for your favorite clip. There is a man responsible for dressing mega popstar Lady Gaga in her famous meat dress. He has never studied fashion design, but currently in his early 30′s, he has now become the head of a luxury brand. He is none other than French Fashion House MUGLER‘s creative director and Lady Gaga’s stylist, Nicola Formichetti. During a recent interview, Formichetti admitted to being a fan of K-Pop. Would you like to see a collaboration between Nicola Formichetti and 2NE1? Toss us your thoughts below! Announcement allkpop forum launch Big Bang, 2NE1, Se7en autographed CD giveaway winners! Just a month ago we relaunched the new allkpop forums and to commemorate the occasion, we held two special giveaways! The wait was long, but it’s finally over and we have the winners for the YG Family giveaway, so check to see if you’re one of the lucky winners (for the winners list, click here)! Congratulations to all those who won! For those who didn’t win, we still have lots more to giveaway on allkpop, so don’t lose hope! We look forward to seeing you around our community boards! Winners will be contacted via allkpop forums. Comments Off on Announcement allkpop forum launch Big Bang, 2NE1, Se7en autographed CD giveaway winners! RPG ‘El Sword’ is ready to hit their third consecutive home run for in addition to hosting models Big Bang, 2NE1, and the Wonder Girls in previous years, the RPG has signed A Pink as their newest endorsement models. On May 24th, ‘El Sword’ released the official in-game avatar inspired from the girls’ looks. ‘El Sword’ takes pride in its adorable characters and impressive action sequences, which is why they felt A Pink fit the bill. Separate from Intel Korea‘s 2ne1 X Teddy Ultrabook song event, 2ne1 recently collaborated with will.i.am to produce “Take the World On” for Intel. Last month, some footage leaked of 2NE1 and will.i.am‘s alleged US track at Club Answer in Seoul. Thereafter, an official preview was released. The song will be used as a promotional single for Intel’s Ultrabook Project. Produced by will.i.am and DJ Poet, the track is electro-dance. Earlier today, a second promotional video was released featuring extensive behind the scenes clips of the production process for “Take the World On”. In addition to more of the track, will.i.am and apl.de.ap (aka The GhettoBlasterz), DJ Poet, DJ Ammo, Dork Dozier, and of course YG Entertainment‘s in-house producer Teddy all share their thoughts on the group. Check out the making of video and full instrumental below. Thanks to everyone who sent in this tip! Announcement allkpop forum launch Block B Giveaway winners! Just a month ago we relaunched the new allkpop forums and we did two special giveaways in celebration! 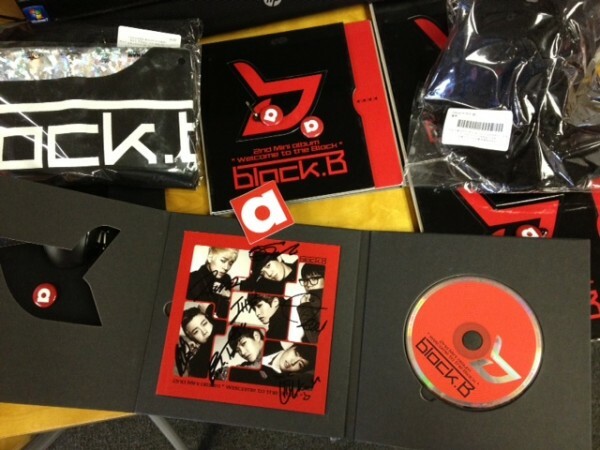 The wait is over for the Block B forum giveaway, so find out if you won! But wait, you still have a chance to win the signed YG Family fan package (ends May 23rd, 2012), by joining and participating in the forums. 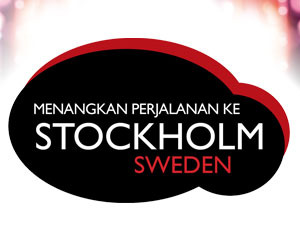 For the winners list, click here. Good luck and we look forward to seeing you around our community boards! Comments Off on Announcement allkpop forum launch Block B Giveaway winners! During Round 1 fans were asked to choose their favorite instrumental. Round 2 had fans pick the best song title. Now round three has fans picking which arrangement style the song will have. Check out the 2 clips for ‘Make Thumb Noise Round 3′ and Making Film released today! Then go to Intel’s Facebook Page to vote for your favorite clip. Minzy, Sandara, Bom, and CL of girl group 2NE1 will be returning with a new album! This new album will be the first to be released since the girls dropped ‘2NE1 2nd Mini Album‘ last July. Tracks “Dont Cry“, “Lonely“, “I Am The Best“, “Hate U“, “Ugly“, and more from that album were all major hits that climbed the charts. Because many of their tracks from each of their albums are quick to become the new trends, this new album is drawing much anticipation from fans everywhere. After the album drops, the girls will immediately hold an independent concert in Korea. Fans are excited for their new album as well as the concert, as the girls have been primarily focusing on their Japanese tour, and it will be the first time in a while Korean fans will get to see the girls 2NE1 up close.